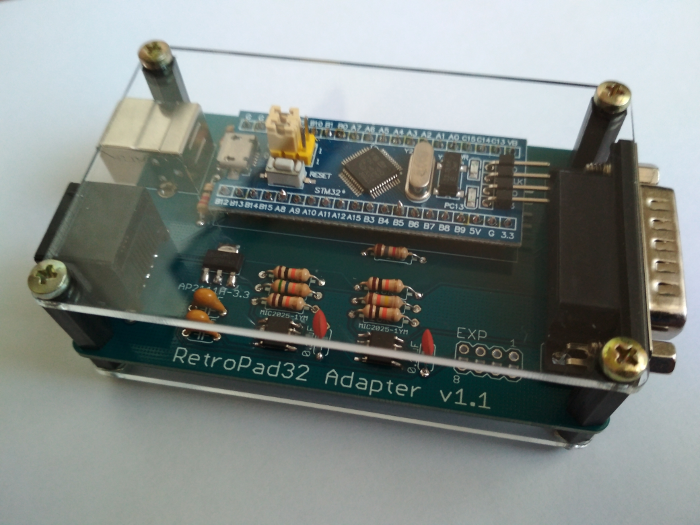 The RetroPad32 adapter is based on the 32-bit 72Mhz ARM Cortex M3 micro-controller from ST and it's a port of the KADE miniConsole+ adapter, which is based on the 8-bit 16Mhz ATMega32U4 chip. The main motivation behind the architecture move was that I wanted to learn how to work with the 32-bit ARM Cortex platform. 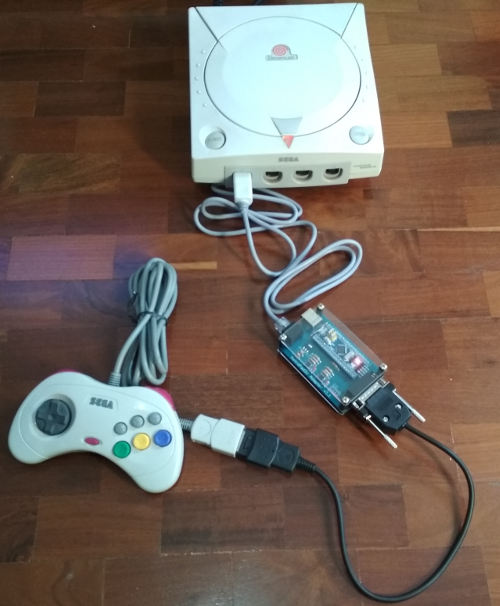 Moving to the 32-bit ARM architecture allowed for more fun possibilities. There are tons of RAM and FLASH memory available for the adapter firmware. 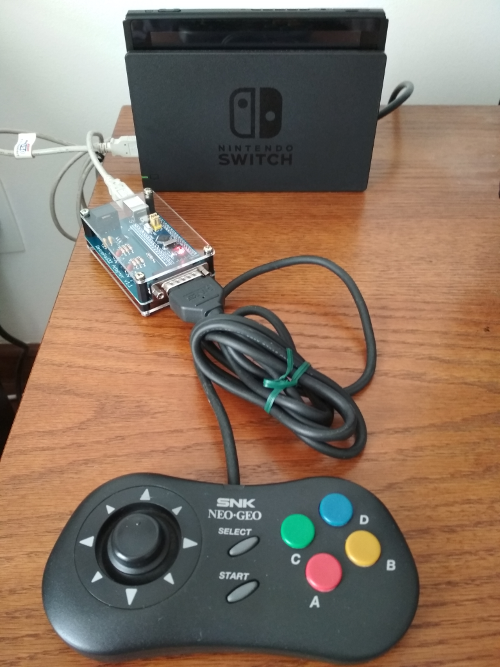 That allowed for adding connectivity support (USB) to the Nintendo Switch console, for example. 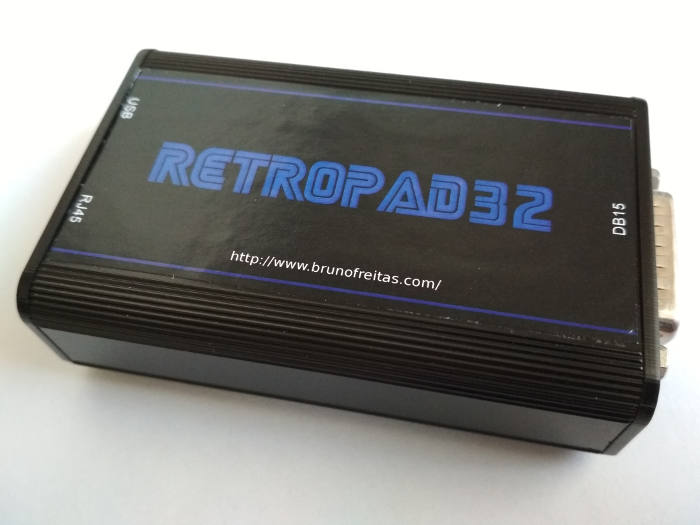 And there are still lots of free memory, making it possible to add new controllers and consoles support to the adapter in the future! Note: In order to take advantage of all the available buttons and axes of the controllers above, make sure to flash firmware 1.05 Beta 0 to your 8bitdo Retro Receiver. 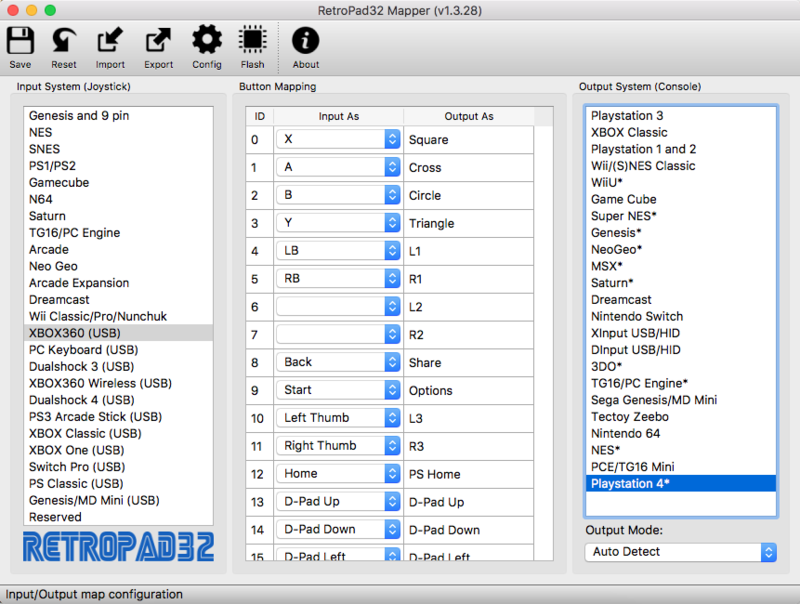 The mapper tool allows you to update the firmware of the RetroPad32 adapter and, if you need, to map the buttons for each of the supported joysticks. It also allows you to set which is the default USB mode, DInput or XInput, among other settings.